I created 7 check boxes for the guest to choose from. We have a birthday package, Love is in the Air package, coporate party package, etc. Each package will go to a specific departments email. Can I have each checkbox go to a specific email? 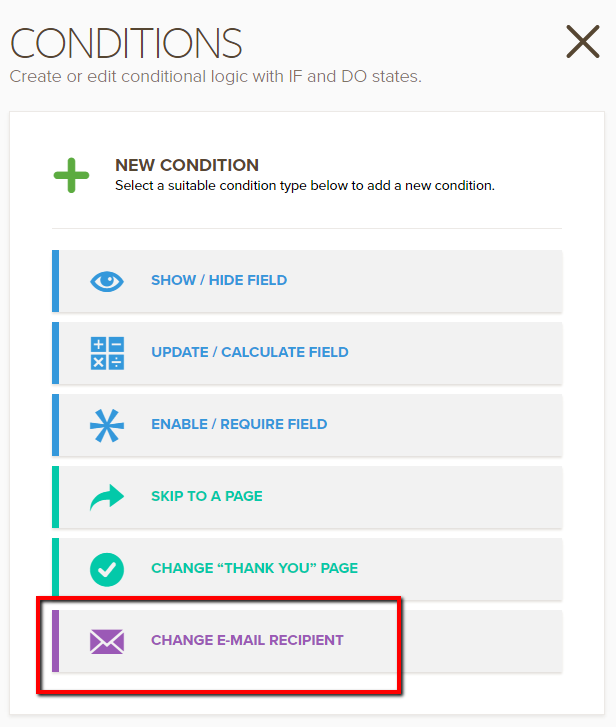 You may create an email condition CHANGE EMAIL RECIPIENT. With this, you can send notification to different departments depending on the way the form is filled.